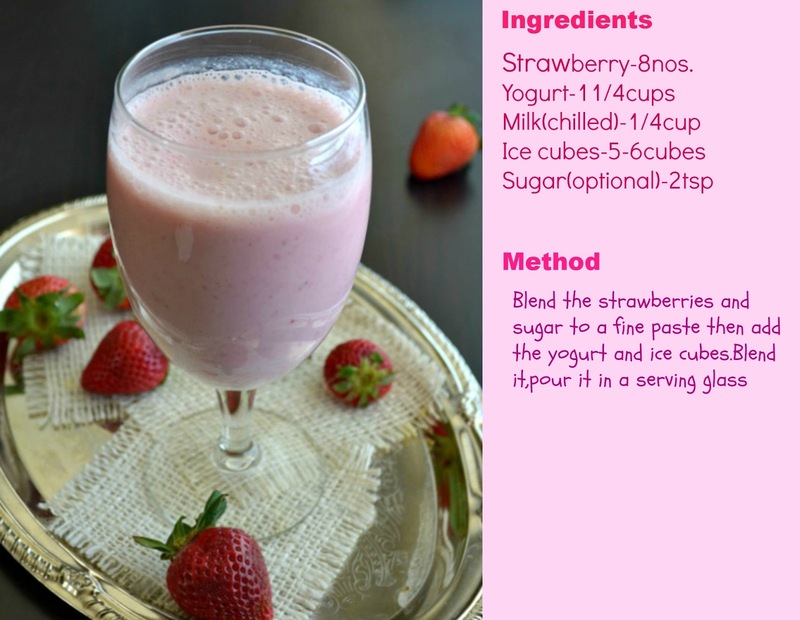 Blend the strawberry and sugar to a very fine paste then add the yogurt,ice cubes and blend it well. Pour it in the glass and serve it. The yogurt should not be sour it is fresh to get a nice taste. To make it more rich add a scoop of strawberry ice cream while blending. I usually don't add ice if I make it in advance,keep it in the refrigerator. 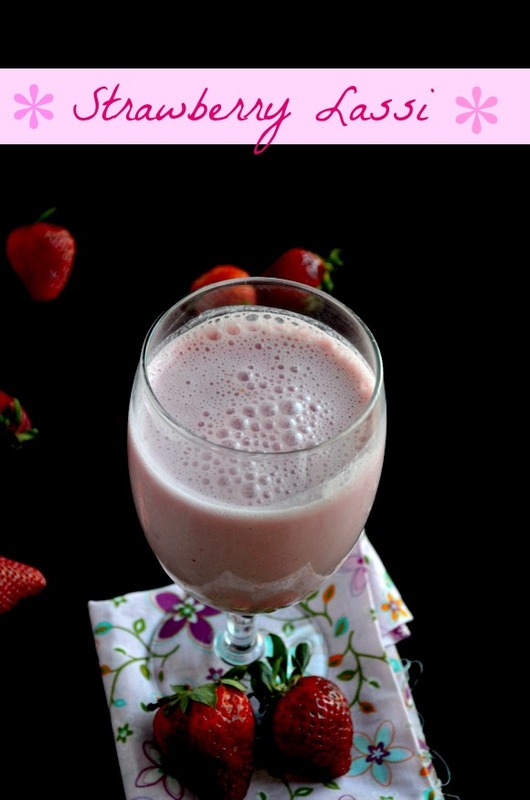 Looks so good Nalini...never made with strawberries..
just made strawberry lassi yesterday for breakfast but i make it differently - using only yogurt when making lassi. Your clicks are mindblowing Nalini, fabulous lassi, who will say no to it. 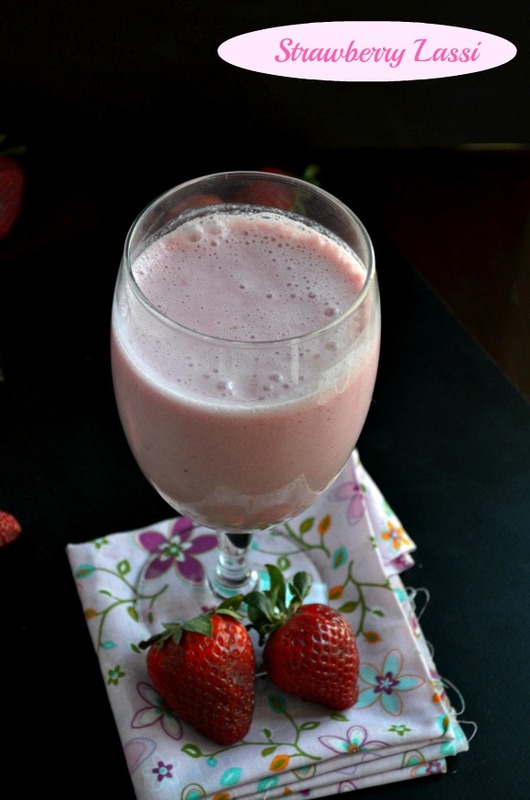 I have been making strawberry milkshakes, but yet to make this lassi. Looks good! Refreshing lassi.. Love the color and the flavor..
Lovely lassi! Love the colorful lassi! 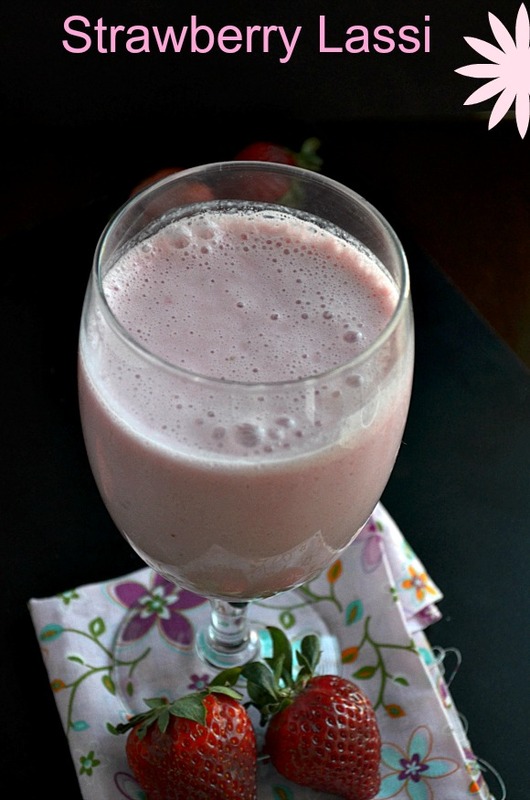 I love this lassi and an inviting one for the hot, sultry days. 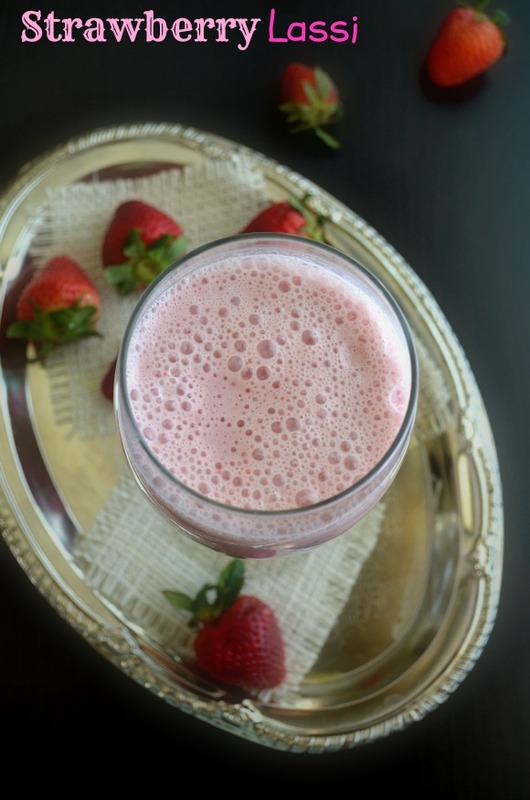 Strawberry lassi looks amazing. Love that pink color. yummy and delicious... love the delicious lassi!! 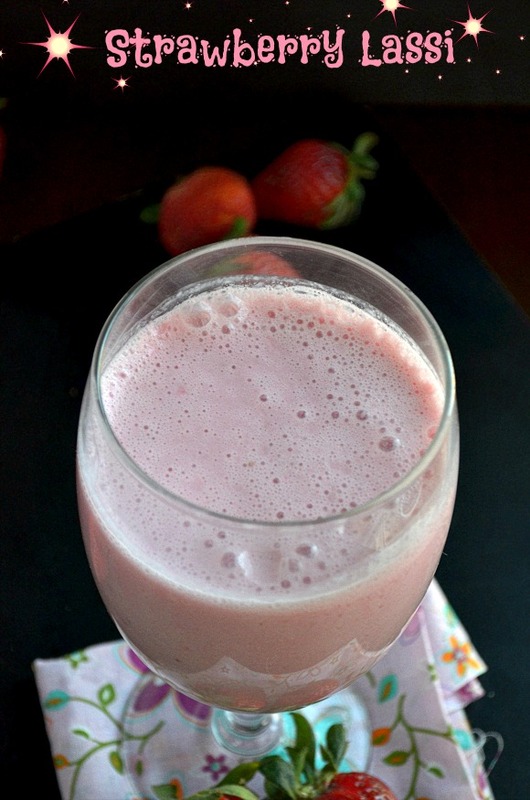 Got a few more frozen strawberries and this is the perfect time for lassi! Who will say no for this,nice clicks.